Jordan is an Inuvialuit beneficiary. Each year, the Trust that he is a member of distributes a beneficiary payment to all that are enrolled over the age of 18. The distribution payments are based on a percentage of the average earnings for his band. They are not huge and vary every year from $200-$900 depending on the bands profitability. They must first ensure there is sufficient funds to reinvestment the the preservation and growth of land claim capital for future generations of Inuvialuit. So, Jordan is happy to receive $563.20 and contribute it to our Big Backyard Project. Hizzah! Our Fence is done! The deck would be too if it wasn't for the torrential rain storm that we are currently having, but it is on the docket for next week! We are so absolutely pleased with how it turned out. We chose a fence called The Fortress II. The distinguishing characteristics are the 4x6 posts, and the 2x6 beams. It's finished with 1x6 top center and bottom rungs. The posts are also much deeper (by about a foot) then our neighbors, which structure is based on 4x4 posts and 2x4 beams. With two shepherds, we wanted to go with strength and stability. 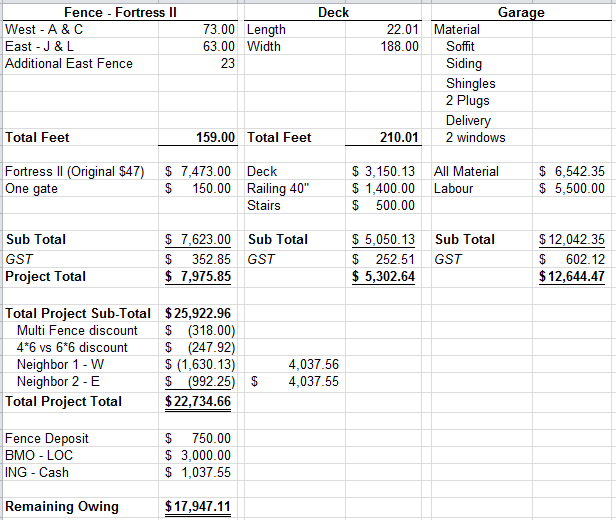 I thought I would also give you an update on the budget since I posted The Big Backyard Project. We were originally budgeting for the fence to cost about $7,458 and for our neighbors to chip in half of the cost on each side (which we had discussed before choosing the fence we wanted) - so a total expenditure of $4,255. We wound up changing the length of the fence (on both sides), as well as going from 6x6 posts to 4x6 - so that affected the budget a bit. 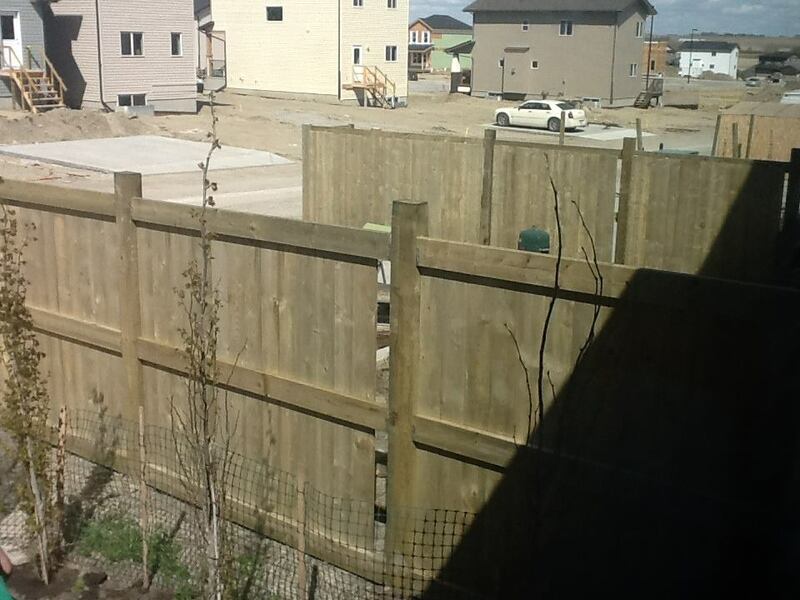 The largest change to the budget was the fact that one of our neighbors backed out of paying the full half of the fence. They decided to go with the Fortress I which was $30/foot rather than $47/foot - and so were only willing to pay $15/foot on the side that we split. 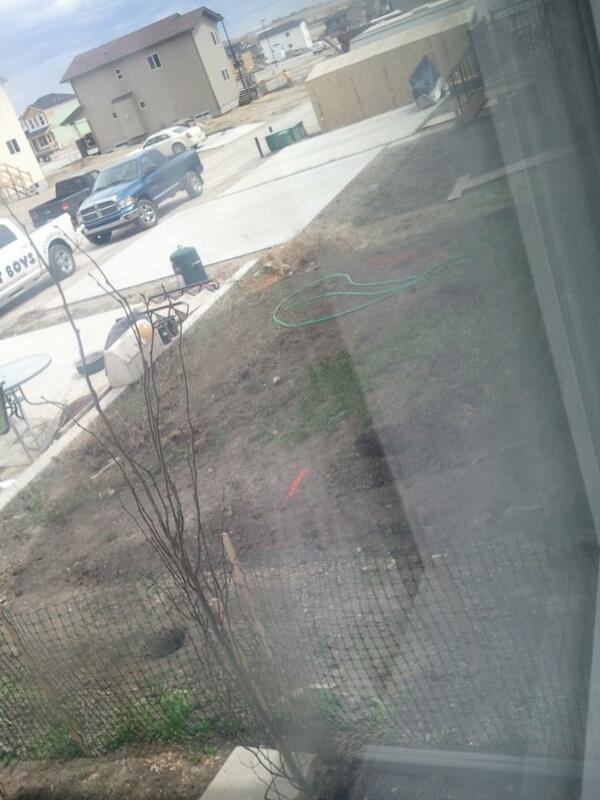 Our other neighbor, while they also decided to go with a less expensive fence for the rest of their yard, honored their commitment to pay half of the full price. oh! We were also able to negotiate a small discount from $47/foot to $45/foot because we 'sold' our neighbors on the company we went with - so they gave us a price break. I've included the deck/garage as well - but nothing has changed there. Jordan and I wound up having to pay $4,037.55 which is $217.73 less then originally anticipated! 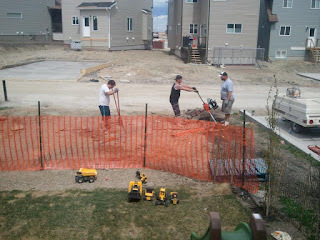 I was pretty psyched about that - until I remembered that there are two sections of fence that still have to be done, once the garage is finished, to tie it all together...so we'll actually have to pay an extra $535.50 to wrap that up...which is only $317.77 more then we had budgeted for....not bad for an overrun, when our neighbor decided to chip in $496.12 less then we had agreed. 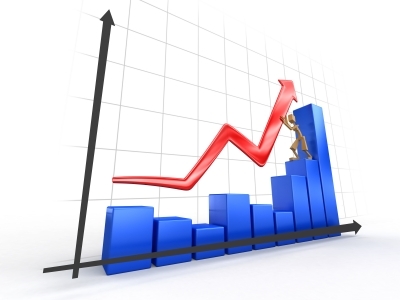 Increase in Company Share Value! Most of you know that as of yet, Jordan and I don't do any significant investing in the stock market. We do however; own shares with the company that I work for. I cannot share details about the structure of the program, or where I work, but I can say that the value has never gone down. Not ever. The value has gone up again, from $46.36 to $51.48. We only have 160 (so far), so the net increase in value is $819.20. 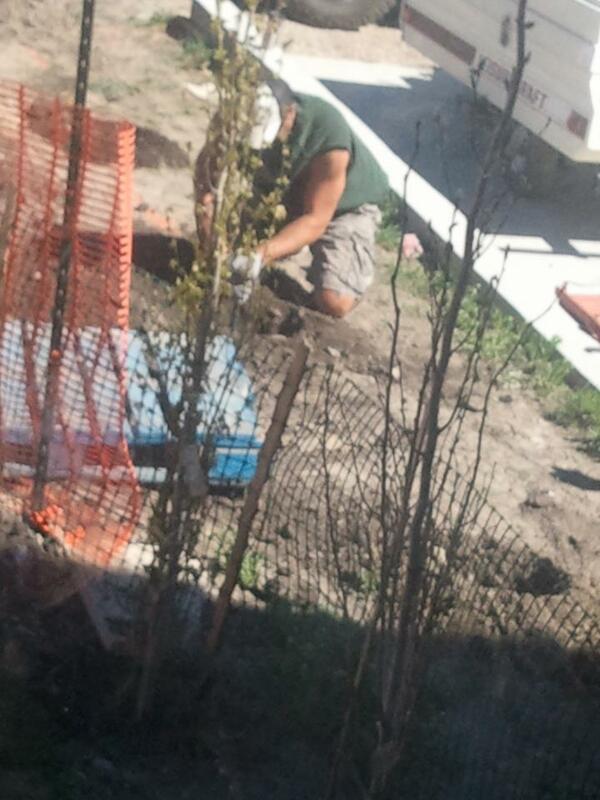 The first deposit has been paid ($750 for the fence, and the work has begun! Jordan and I are both working so we can't see the work being done, but our lovely neighbor is taking photo's for us and sharing them. Have you ever purchased something specifically because of a rebate that was offered? Back in December, 2012 I was purchasing contact lenses, and because of the rebate offered, I bought more than I needed immediately because I figured I would use them eventually. I sent away for the rebate prior to the January 30th deadline and what did I get in the mail last month? I received a letter, as well as the rebate form that I sent explaining that the program had closed and I was ineligible because I submitted after the deadline. Well. They also sent me the original envelope, which was postmarked with a date of January 19th. I phoned up Bausch & Lomb and spoke a very lovely customer service agent a few days ago...and guess what? She approved the rebate on the spot, apologized and said I would have a cheque in the mail for $40 within a few weeks. I went from cranky to happy in about 5 seconds. Hizzah! Another $40 for the backyard. So, for some reason, that I can't figure out - Jordan and I spent a tonne of money on groceries in April. Keeping in mind that our 'groceries' include toiletries, cleaning supplies and dog food - this number is still the highest I've ever seen it. This leads me to the conclusion that we must have bought something that doesn't fall into these categories at Costco or Superstore that we've just forgotten about...time to start keeping receipts for a while I think. I've include the year to date for each month, an average, and the percentage of total spending in each category for the average. You can also see our day-to-day budget for each month, some are higher if there are 5 pay weeks and/or if I have 'topped up' the account if there was an emergency or money came from one of our planned spending funds. Even still, after January, we have been steadily spending more than we intended - which has meant we're using money that was earmarked for the backyard, to avoid debt on the credit card. Home Maintenance for April included paint and painting supplies as well as a couple of flower pots for our newly painted bathroom. It also includes a 'top up' on amazon.com - we bought a few things using a Christmas gift certificate and had to toss in some cash of our own. Eating out was high, however that tends to happen in months where we have an emergency. My friend gave birth to her twins just under 32 weeks, it was a very high risk birth. Mom, dad and the babies are okay now - but there was a lot of driving, eating, and feeding for our friends. Hopefully May is a but calmer with the spending for food/booze. Last year we completely forgot - but we're more on top of it this spring/summer. Last night, we turned OFF the pilot for our fireplace. I'm not sure how much we'll save, but not paying for the gas to keep it running 24/7 has got to equal some $$. We also changed the furnace filter and need to remember to keep on top of this better - we can go six months before changing it, and we're really meant to at least every three months. Last but not least, we will keep our curtains/blinds closed when we leave for work - it will help keep the house cool and we'll rely on the ceiling fans less to cool us down which will have us spending less in electricity. What are you doing to keep cool and still save? 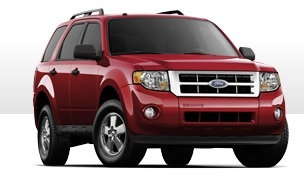 In November, 2010 Jordan and I purchased a 2011 Ford Escape. We chose this particular vehicle because we knew in the few short years afterward we would be increasing the size of our family and wanted to be prepared for that. So far, we have two dogs. We adopted Aries in January, 2011 and Baxter in 2012. No kids yet, but we'll have the space for the lot of us when we do. When we made the purchase, we were given the choice between a good interest rate, or a better price. We chose the better price and committed to paying the vehicle off early to make up the difference. With an interest rate of 6.99% and a loan of $27,937 we signed up to pay the vehicle off over 7 years. As the warranty ends after 5, Jordan and I wanted to have it paid off prior to then. We started with bi-weekly payments of $189.88 then in January of this year after a ridiculous saga we moved to $100/week - increasing our payments by $260.26 over the course of the year. After all the talk of buying a Condo, Jordan and I have decided that we should look at all of our investment options - and some of those including paying down expensive debt. I called up BMO and found out that there are absolutely no penalties or fees if we pay off our Escape, using our Line of Credit which has a lower interest rate. The LOC has an interest rate of 5.49% - 1.5% lower then the Escape financing. Switching, and leaving our weekly payments the same would save us $788 over the rest of the loan peirod (4 years/4 months) - having the escape paid off in late 2017. To honour our original commitment of having it paid off in 5 years, we actually need to have the debt paid by November, 2015 - or in 2 years/6 months. Using an online debt calculator, I ran a couple of scenarios based on the lower interest rate. If we increased our weekly payments from $100 to $160 - effectively $3,120/year - it will be done. So, should we do it? I suppose it's a two part question - one, do we tie up half of our LOC (currently at $0) with the auto debt to save an initial $788 and two, do we then increase our payments by $60 week to have the Escape paid off within 5 years of purchasing it? There is still quite a bit of cash left over every month - but keep in mind that is cash that was allocated for the backyard. Making this change would also mean that we would need to find an additional $2,640 to pay for our back yard in cash (or, use the LOC and have it paid off be February, 2014). Okay - I think those are all the facts - what should we do? The last part of this process, is actually asking your manager for the raise. Armed with the knowledge of your performance and your market research - how do you actually present this to a supervisor? Practise - the first time you ask for a raise shouldn't be when you meet with your manager. If you don't already have a time booked, book some time - 30-45 minutes. You want to approach this as professionally as possible. If you know your manager has more energy/patience/time - pick that period during the day. Speaking of professionalism, on this day, dress it. Okay, so perhaps you're looking for more information then just 'ask'. Here is a bit of a script that Jordan can use as he's the example I've been referencing. Thanks for taking the time to meet with me today - I know it's been a busy time in the shop. I've really enjoyed taking on XYZ responsibility, and getting XYZ project off the ground. I really feel like I was able to contribute to the success of XYZ. I wanted to meet with you today to talk about my salary. It's that time of the year again, and based on all of the work we've been doing together, I think my performance merits an increase. I've also done some research and I think that an increase of $1.00/hour would bring my salary up to market competitiveness. Well, it's just as we've said. I took on XYZ responsibility this year, which led to XYZ proficiencies and XYZ in cost savings for the shop all around. I've been your go to in the shop when you've been away and have been training so and so which has increased his ability to do his job well too. I also continue to add value to the shop through my recent accreditation in Parts Management through XYZ. With the recent change to the structure of the company, I've been a resources to so and so and so and so and the number of off-hour calls on my personal cell phone have increased. The market hasn't changed much, but the cost of living did change by about 1.5%, which makes a difference when you add up small increments over the years. Thank you. I really appreciate you looking into this for me. When you do, I'm wondering if you can also have a look at a work cell phone for me. I've started taking a number of off hours calls over the weekends and while I'm happy to do that, It does take time out of my day to support our customers and the service center. If a separate work phone isn't available, I would also be interested in talking about compensation in lieu. Okay. So it might not go that smoothly necessarily - but hopefully you get the flow. It's important to be clear, share your facts and get the point. Don't hold back with sharing what you've done well, and who else you might have helped helped over the last year - it's your job to make sure your manager knows how amazing you are. Jordan mentioned to me a week or so ago that he's been thinking about writing a blog post or two for me on his perspective of being married to a Personal Finance junkie. In anticipation, I thought I would reach out to you to see if there's anything you guys would like to hear about in particular. Feel free to leave a comment with your questions for Jordan. I haven't posted budgets for a while - because mine are usually always the same. I thought though, for the sake of any new readers that have come my way over the last few months since I started writing more actively again, I would do a bit of a catch up. This May, Jordan is paid three times - so you can see his income is a lot higher than normal. Below our income you can see our fixed expenses. Utilities are paid every other month and include water, sewer, waste and garbage pick up. Enmax (further down) includes our electricity and gas (heat) and that's every month. 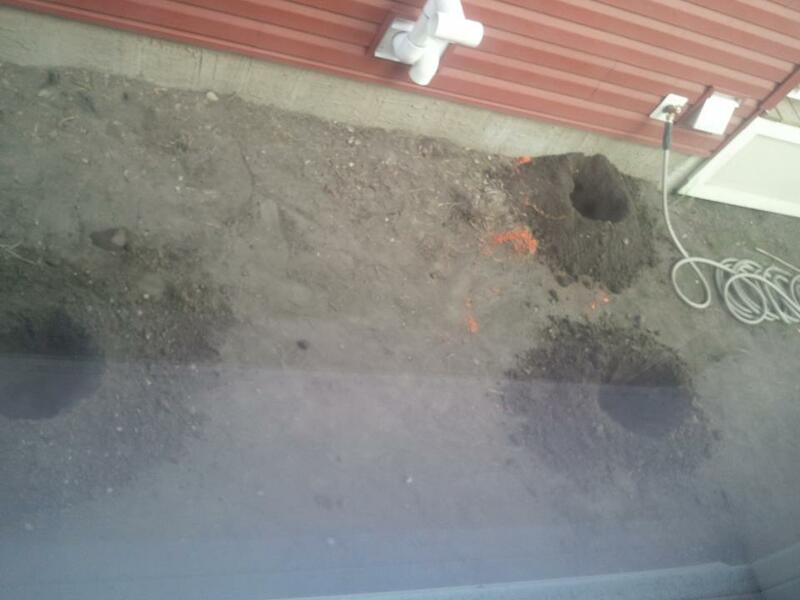 Now that we're in the summer I expect Enmax to go down (less heat) and my city utilities to go up (more water). Property taxes are every month, and we pay them ourselves rather then incorporating them into the mortgage. Next up are our cell phones - we're waiting for our contracts to expire in about six months and then we're going to look at a combined family plan, to get just one bill/one contract and hopefully pay a lot less. Shaw includes internet, tv, and home phone. We did a big post about that a few months back and are paying a lot less then we used to be. I'm excited that in October, when our auto-insurance renews because my last speed ticket falls off of my record so our rates should go down again. That'll be great! Next up is our Car (Escape) and Mortgage payments - these are every week and because May has 5 Fridays, we'll have five payments instead of four. Our Monthly Spending (this is gas, groceries, clothes, entertainment and everything that is not a fixed expense) is managed the same way with a deposit every Friday. Finally we have our RRSP contributions and the last top up to our Emergency Fund (which should actually show as a negative number, not positive) - which brings all of our savings goals for 2013 to 100%. The last (perhaps most interesting?) is how much cash is left over. This is all going towards our big backyard project! Every month going forward - every bit of cash left over is being directed to this project. Is going to be very full! My girlfriend just had twins on the 29th and they were super early...They were only at 31.5 weeks and so they are staying in the hospital for at least a month. My friend on the other hand, was released on Thursday. I imagine there will be quite a bit of back and forth visiting and what not - no one has seen the babies yet, and I would be very honoured if I was able to. I'm also helping my mother-in-law move. It's a bit of a stressful time on Jordan's side of the family - a lot of things are not going well with the family dynamic. That said, I promised I would help before the current sh*t storm, so that is what I'm going to do. I'm only going to go for 3 hours or so, instead of the all day event because of all the other plans this weekend - but I wanted to make sure I helped out a bit. I'm hoping that she doesn't bring up any of the family stuff, because then I will have to leave early then planned (the conversation she may try to have with me, is not my conversation to have. I also really want to go visit my great aunt - she's in an assisted living place in the city and it's been a solid three weeks since I've seen her. She doesn't seem to phone as often anymore, and life just keeps getting in the way from a good visit. The big at home job this weekend is painting the bathroom on the main floor. We bought the paint two weeks ago, but haven't been able to make the time to get the job done...hopefully that will happen on Sunday. I also want to pull out all of our camping gear and go through it. My mom got a seasonal camping spot (means you can leave your camping trailer in one spot all year) and Jordan and I are planning on spending a lot of time out there. So I want to sort out what gear we can bring and leave there as well as maybe some clothes and what not so I don't have to pack a tonne everytime. If all that gets done - then maybe, just maybe, I'll be able to fold some laundry. Are we really going to buy a condo? A few weeks back, I told you that Jordan and I were discussing an investment property, specifically buying a Condo. We have narrowed it down to which development we are interested in based on quality, marketability, rental income and re-sale value – while I would like to spend $160-$170, it looks like the best value is around the $190K mark. There are a couple of things we would have to look at including how we are paying for our backyard, as well as how we would be coming up with the cash for a down payment. 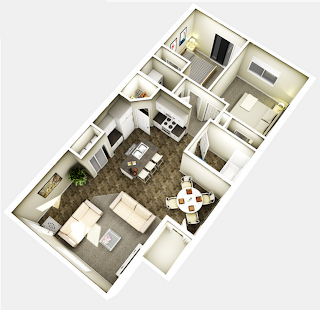 The specific unit we are interested in is $194,900, so after GST and down payment the mortgage would be $158,726 for a two bed, 1 bath 876 sq foot condo that has a separate entrance from the outside (no hallways) on the main floor. The washer/dryer is accessible by both rooms and it's behind the pantry rather then right next to the cooking surface. It has a separate eating nook, rather then just the counter top eating space - nice for families. The living space is open to the kitchen - which creates a bigger feeling for the space. Storage space within the unit (just off the eating nook). So, that's the space - without further ado - here is one scenario for our the cash flow would work, keeping in mind that the money for a down payment would need to be in our bank account for at least 90 days prior to fiance approval. We would pay for our backyard using our line of credit, rather then the cash we are projecting to save this year. The cash we are saving, would be re-directed to saving for a down payment. We would begin paying a carrying cost/interest of approx $103/month. Half of the down payment/closing costs would come from current cash savings as well as savings from May-October bringing us to just over $23K in cash savings. We would need to withdraw an additional $17K from the LOC to get a total of $39,681. If we made the withdraw in July and stashed it in our TSFAs we would gain 1.4% in interest (offsetting the interest we would pay on the LOC which is 5.5%, reducing carrying costs slightly - $58/month). Our total interest costs would now be approximately $160/month including what we pulled for the back yard. Assuming we would purchase the property in October and get possession and have it rented prior to January/February - we factor in three months of carrying the Condo. The carrying costs would be about $1,125 (shown below). A note here. Jordan asked me if we could still carry the condo if I was on maternity leave - we could, but only for the first five months without going into debt. The first 15 weeks of my eventual maternity leave (no, I'm not preggo yet) will include a top up (paid by my employer) to 70% of my salary. There would be some carry over from the top up month to month, which is why would could stretch it to five months, rather then 3. Once the purchase is complete, we could begin to pay down the LOC as aggressively as possible. We would have cash flow from November-December of just over $1,700 which would reduce the debt to $38,336 by the end of this year. Projecting forward, assuming no raises (which their will be) and a maternity leave (which I hope there will be) - as well as rental income of $276-$376/month - the debt would be paid for by the end of 2016. It would cost us approximately $5,000 in interest cost over less than 4 years. TLDR: Is it worth $5,000 to both significantly increase the value of our home ($27,181 in equity) and acquire an investment property that would net $3300-$4500 in revenue a year (yes I've accounted for property taxes and the like, but not income taxes). Below is my summary of salary data for Jordan. You'll see each job title on the left and each salary survey/database resource at the top. The corresponding salaries fit in the middle. Note - The median is the middle value in all of the data points in a given set. Using the median ensures that outliers (extreme lows and highs) don't factor into the data. Next, I averaged, the averages. This give me a single market relevant salary for Jordan's job. We come up with $53,638.97. The consumer price index (http://www.statcan.gc.ca/tables-tableaux/sum-som/l01/cst01/cpis02a-eng.htm) is one way of looking at the cost of living or inflation. All of the research I did above was based on salary surveys conducted in 2012, so we must adjust the data to account for CPI. Based on a CPI of 1.5%, I have shown five different ways that Jordan can approach discussing the actually dollar value of the raise he wants. You can see it as a annual dollar value or percentage as well as monthly, weekly, or hourly rate increase. Next up, now that the research is done - is the asking part. I'll talk about that in the coming days. I really wasn't sure about tracking my Networth at first, but I've found that it's been a really great exercise to go through - and I love seeing that tracking bar go up! Our Networth is going up in fairly even increments right now because of our steady pace of paying down our mortgage and the car loan as well as increasing our regular savings through pension and RRSP contributions. We have stopped contributing to share purchases at work for now, as that money is being re-directed to savings for our big backyard project. Before tax, our home cost us $327,650, after tax it was $338,134 - after paying our down payment (5%) and adding CMHC Insurance (2.75%) for having a down payment of 5% rather than 20% our mortgage was $348,818. So, you'll notice that when I report, for example, owning 3% of our home - I mean that we have paid that percentage of our mortgage off. You may also notice that we owe more than our homes City Tax Assessed Value. The value, as you may know, is arbitrary - because the home is worth only what a buyer will pay for it. We're not currently in the market, so it's difficult to know exactly what's it's worth. I used the value from our 2012 Tax assessment however; it is relatively common knowledge that tax assessments are not used when determining a sale price - but market value is. We bought the vehicle new, off the lot - its fairly common knowledge that off the lot typically lose a lot of value as soon as you drive it off. I used a black book value website to come up with a value of $15,000. I actually saw pricing of vehicles ranging up to $22,000 or more for an Escape as old as ours however; I choose to use a more average valuation instead of over inflating it's value - because really...who knows what people would pay for it.